Are you on the hunt for a new job? Whether you’re an industry veteran or just entering the job market, you need to have a well-written resume. Your resume is what can make or break you from getting an interview. To help you land your ideal job, Omar Yunes shares some of the top resume writing mistakes that job seekers should avoid at all costs. Typos and grammatical errors are among the top mistakes that get candidates’ resumes immediately dismissed. Before sending your resume, always remember to proofread it. Don’t rely solely on spell check. After you’ve reviewed your resume, it’s a good idea to have a second set of eyes review it too. Reach out to a trusted friend or colleague to proofread your resume for any mistakes. Don’t send a generic resume to every employer. No two jobs and businesses are exactly the same, so why should your resume be? Take the time to tailor each resume to the specific position and company to which you are applying. Your resume should focus on the specific needs of the employer. For instance, if the job requires market analysis and content strategy, then incorporate those terms into your resume and provide concrete examples of your performance and results in those areas. It’s best to limit your resume to one page. As a general rule of thumb, use one page for every 10 years of work experience. Your resume shouldn’t detail your entire job history. Rather, it should market your relevant experience and skills and demonstrate why you are suitable for the job. Focus on the most important information and eliminate the fluff. 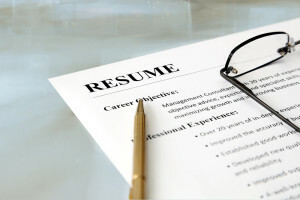 For a strong resume avoid these common resume writing mistakes from Omar Yunes.